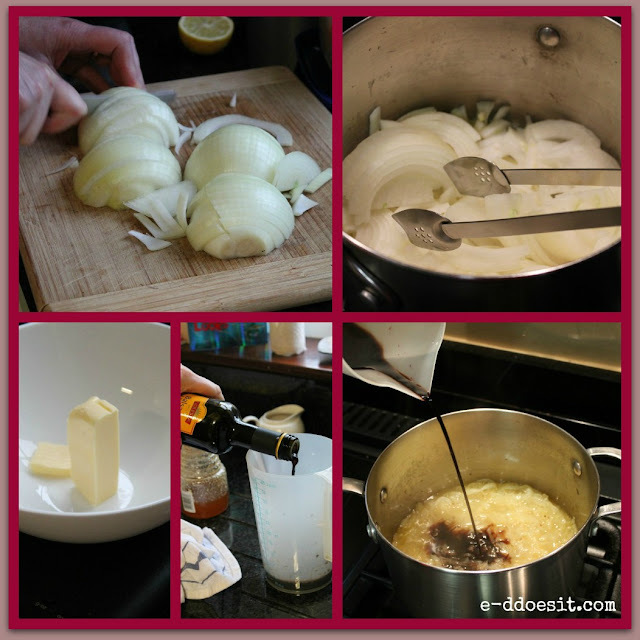 Apologies for my lack of blogging over the last few days. Like everyone else I have been running about trying to get the last few things together for Christmas. After what seemed like a very long week in work I am finally finished for 2012 and I am taking the next two weeks off, so lots of time to spend in the kitchen. 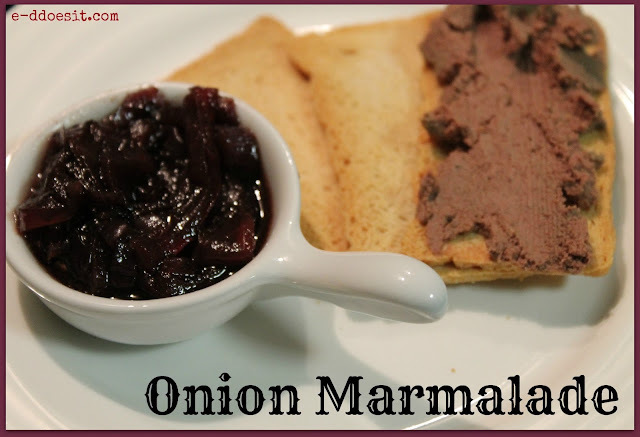 Today's post is a favourite in our house, and we always serve this delicious Onion Marmalade with my Home-made Chicken Liver Pate. Served on crusty crostini with pate, or as an accompaniment to cheese, or Christmas Ham this onion marmalade is a real treat.